A terrorist member of the PKK's Syrian affiliate, the People's Protection Units (YPG), was detained in an airport in the Netherlands on Tuesday. 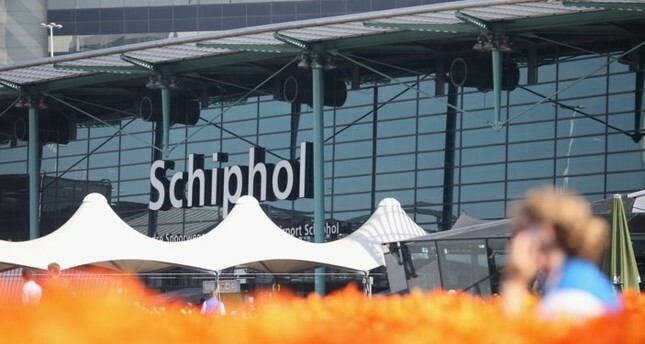 The Dutch Public Prosecution Service said in a statement that the 24-year-old was arrested at Amsterdam Schiphol Airport on suspicion of participation in armed conflict. Hundreds of Westerners are believed to have joined and received weapons and explosives training from the YPG in Syria in recent years. A failure to prosecute foreign fighters returning to their native countries after fighting alongside the YPG is expected to pose a serious threat to Europe's security as they possibly maintain their links with the PKK and YPG upon their return and could engage in various activities in Europe at the request of the organization; including recruiting, fundraising and even carrying out terrorist attacks against perceived enemies. The suspect was recognized from a 2017 television broadcast which showed him with a scarf covering his face, saying that he fought alongside the YPG in Syria's northern Raqqa province, the statement added. His pre-trial detention was extended by two weeks. A Europol report in 2017 indicated that the PKK has recruited its members among the Kurdish community in Italy, for activities in Europe or to be exported to conflict zones. Turkey sees the YPG as an extension of the PKK, which has claimed the lives of more than 40,000 people in its 30-year terror campaign against Turkey. The EU and U.S., however, while listing the PKK as a terrorist group, do not recognize YPG's links with the PKK.